Exclusive houses: stunning scenery of Prosecco vineyards, prestigious furnishing. On top of that, Vittorio Veneto offers the beauty of its antique buildings and of its gardens, and the charm of the Medieval town of Serravalle. If you love art and history you will find dozens of art and history treasures from the Middle Ages and the Renaissance period, you can visit by yourselves or with a guided tour. Our group of private owners offer vacation or short- term rentals of holiday homes, apartments and villas in Vittorio Veneto or in its surroundings. All properties can be easily booked direct from the owner with no agency fees. Browse through our list of holiday homes and apartments: the property descriptions will help you choose the perfect self catering holiday rental. 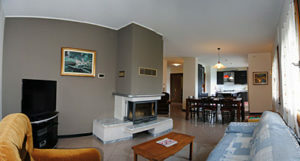 The apartments are located close to the Center of the town, or in the Medieval town of Serravalle and Ceneda. 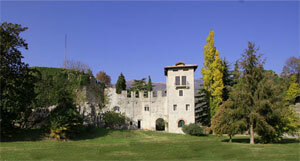 The villas are almost all in the nearest surroundings of Vittorio Veneto. Some villas are provided with a private swimming pool. Villas and apartments are listed by number of rooms and beds. Every short- term apartment or villa is completely furnished with everything you need: iron set, washing machine, TV, household, , bathroom, bed and table linen.